I came home after a two month trip away to find that the large carob tree in our prayer garden had been massacred by our gardeners. It looked so ugly with a pile of branches scattering the garden below. The gardeners called It pruning and said that now the tree could become healthy again. What I did notice was that our view was back! The tree had been growing higher and obscuring our view of the Mediterranean, but now we could see the horizon once more. As painful as it is to see the pruned tree, I am thankful for the openness of light to pour into our garden and I know it’s for the best. That is a picture of what is happening in our lives right now. John 15 is our theme for the year because of all that is taking place. Over the years, I have experienced pruning in many different ways – let me share a few with verses based from John 15. ‘He cuts off every branch that doesn’t bear fruit’: It reminds me of 20 years ago when I took on the role of regional leader in Western Europe. The main training bases in the region had been pioneered 20 years before and now they were being run by operational and pastoral leaders and the ministry was either plateaued or dying. For the first 3-5 years, my job as regional leader was asking leaders to step down or step to the side – not a role I liked to do. It is so easy for a ministry to become sacred. By that I mean that no one wants to touch it, change it or mess with it in any way. It can have that sense of holy ground. Leaders stay in place too long and the bar gets higher and higher and it becomes difficult for younger leaders to step up to the take responsibility. One of the definitions of pruning is to ‘cut off the dead wood’. In some ways this should be the easiest step to take – after all it is easy to see dead wood on a tree. So the obvious thing to do is chop it off. If a ministry or an aspect of the ministry isn’t growing and has become dead, we need to take the hard but important step of cutting if off. We need to do this regularly so we see healthy growth taking place. The other kind of pruning of dead wood, is when a branch looks ok but doesn’t actually produce any fruit. On rose bushes there are shoots called suckers that may look like the rose itself but if you get close up, you can see the difference and they grow quickly and tall but no fruit will come. So we need to cut those shoots off right at the root. 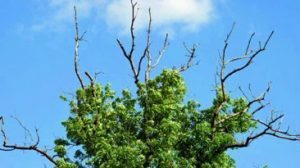 Let’s not be scared of cutting back branches that are dead or aren’t producing fruit – it may just need a little cutting back, or a major prune like our carob tree. ‘You have already been pruned and purified by the message I have given you’: The Lord speaks into our lives to give shape, rhythm and direction for the growth. I just visited a labyrinth in Chiang Mai that took about 30 minutes to walk around. It was a beautiful time of talking with the Lord. 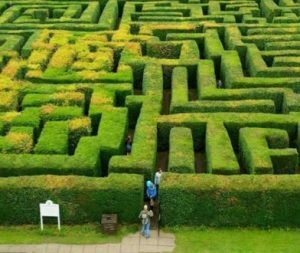 The bush that was separating the labyrinth path had obviously had gardeners training and chopping the growth to keep it neat and tidy and keep you on the right path. Our lives need pruning in the same way. We can go off on tangents, get focused on the wrong things, spend too much time here or there, and we need a pruning time to bring us back into shape. That’s what spending time with God and in his word does for us – keeps us focused in doing his will. At times though we need more than ourselves to keep us growing in the right way. We need others in our lives who help to point out our blind spots, who can speak some sense into us when we get carried away by our emotions, or by our logic or by our wild dreams. God placed people in our lives to mentor, coach, advise, help and encourage us – all there to help prune us and keep us in shape. We planted an apple tree in our garden some years ago. The first year we had a few apples from it but we knew it would be a few years before it would produce much. Two years later, the branches were still pretty thin and I realised there were lots of blossoms on the tree. As fruit began to grow, it was obvious the branch couldn’t bear the weight. I had to prop up one of the branches or it was going to break off. The problem for the tree was one of success! Funny to think that success can break us. When there is more fruit, our workload increases, so does the stress, and we often find ourselves spread too thin. Continue on without pruning and it causes us damage. This calls for a pruning where we delegate some of our responsibilities, we prioritise, we cut back in whatever way we can in order to stay healthy and for fruit to continue to grow. I often think of Jesus ministering in his small town. Everyone knew about him and often his home was full of people. They opened up the ceiling and let down a paralysed man because there was no way in through the front door. People were being blessed, there were miracles of healing. Then the next day, he was gone. He disappeared! Jesus knew when he needed space and his body, soul and spirit needed revitalising. Over the last few years we have experienced this in the retreat centre, with so many people asking to come for personal retreats or teams wanting some team building and we hate to refuse anyone. However, where there is no break in between groups, the staff begin to burn out without enough margin. This is why regular evaluation of our time and involvement in ministry is so important and debriefing can save our lives! arden producing little carob trees everywhere. So does the Mexican hat cactus and the spider plants. 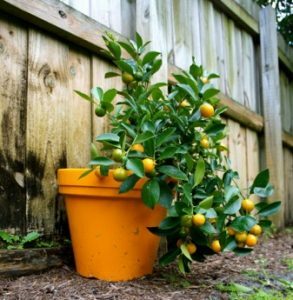 Another definition of pruning includes preparing nursery specimens for transplanting – or multiplication. 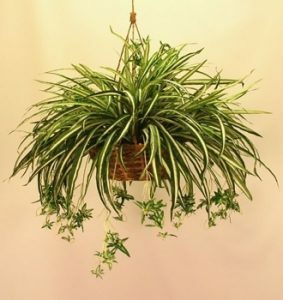 The spider plant is a great illustration of this as it sends out its runners with little spiderettes on the end of each one. These often replant themselves when the spider plant is in the garden rather than in a pot. This kind of pruning – giving out our energy for reproduction or giving away our best to start something new, is something we need to think about right from the start of the ministry. Begin every new ministry with a seed of multiplication. When Loren first visited our base in Paisley many years ago, he asked us to introduce ourselves by sharing our name, our ministry and saying times ten. He was asking us to think multiplication in whatever we were doing. I have never forgotten that illustration. Are we willing to be pruned so that other ministries can grow? ‘He prunes the branches that do bear fruit so they will produce even more’: We visited a vineyard last year and the owner gave us a tour of his vineyards. He produced a number of wines with varying quality and the particular vineyard we visited was his top quality vines from which he only produced 10,000 bottles that he sent worldwide. In order to have that quality he pruned the vines. From the five or so shoots growing, he would cut off three, leaving only two to produce grapes. This procedure, along with other principles and procedures that he didn’t tell me, generated the kind of quality he desired. 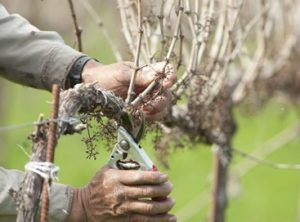 This aspect of pruning is the painful and risky part involving sacrifice. It’s one thing to prune deadwood, to shape, to delegate or to transplant but to cut off fruit bearing shoots and branches is quite another. We are experiencing this ourselves as we are in the process of making the hard decision of ending the life of the retreat centre. Not just trimming, cutting back but completely lopping off. This action is necessary for the other shoots of LDC international, preschool in a suitcase workshops international and eldering in Europe to continue with greater quality. Attached to this letter is a tool to help you reflect on your relational roles and responsibilities. As you think about these various roles or branches of your life, think through the questions that may help you to consider what God is wanting to do in terms of dealing with the dead wood, shaping, supporting, multiplying or majorly pruning. This entry was posted in Uncategorized and tagged bear fruit, branch, pruned, vine. Bookmark the permalink. ← 92. Are you lonely as a leader?